If you are looking for an exhibition venue in Northern Ireland, look no further than Lagan Valley Island Conference Centre in Lisburn. Catering mainly for medium to small exhibitions, we offer a choice of exhibition space of varying sizes from the Island Hall at 460 square metres located on the ground floor to the Cherry Room at 92 square metres. The glass fronted Rotunda can also be used when hiring one of the main rooms. Should you require additional rooms for seminars or breakouts, there are ten meeting rooms in total. The exhibition venue also has the benefit of the outside space available, which can be used for vehicles, branding or something more creative. 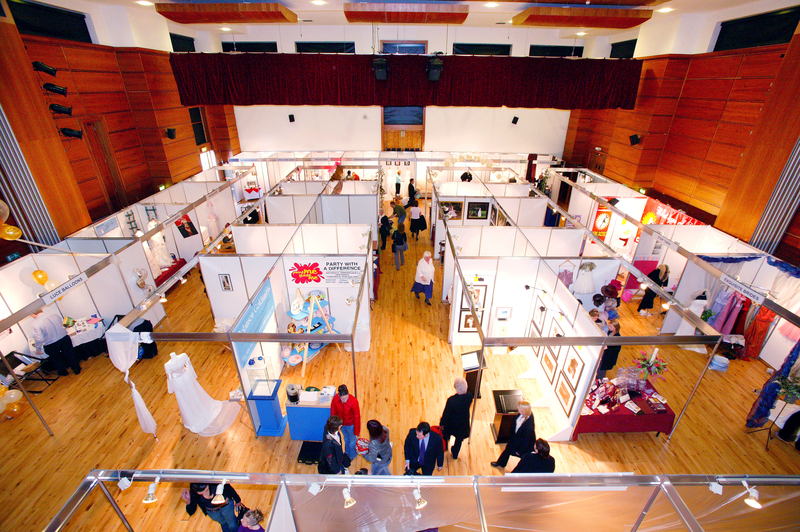 When planning an exhibition in Northern Ireland there are many factors to consider and with over 9 year's experience, our team can provide invaluable support for your event. Clients return to us again and again for their Northern Ireland exhibition venue, so why not speak to one of our dedicated sales team now. Call 028 9250 9292 or contact us via our contact form.